A AJ BJ FOUNDATION SOCIAL WELFARE AND CHARITABLE TRUST is located in BANGALORE Karnataka . A AJ BJ FOUNDATION SOCIAL WELFARE AND CHARITABLE TRUST is registered as a Trust at BANGALORE of state Karnataka with Ngo unique registration ID 'KA/2015/0088024' . 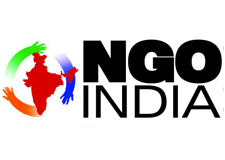 The NGO registration is done by Sub-Registrar with registration number BOOK IV OF BNS-4-00049-2015-16 on the date of 24-04-2015, Its parent ORganaisation is PaulFoundation. The Chairman of A AJ BJ FOUNDATION SOCIAL WELFARE AND CHARITABLE TRUST is ALHAJ MOHAMMED HUSSAIN KHAN and Chief functionary officer is ALHAJ MOHAMMED HUSSAIN KHAN.